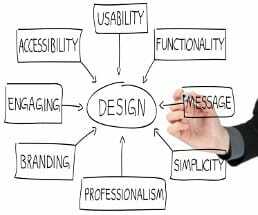 A good quality website design is achievable only when it is well conceived. Backed by a good understanding of user behavior, a good quality website captures the interest of many site visitors promoting more website conversions. Seeking a reliable web designer who understands your business better, who’s able to grasp the mindset of your site users, and who fulfills the requirements of the search engines is always desirable for your website’s success. In this respect, nobody qualifies better than your local web designer. There are many reasons why hiring your local web designer is far better than its overseas counterparts. You are better at ease when the company you’re dealing with is physically available right within your local region because you can easily hold it accountable should it fail to fulfill any of the agreements. You can trust your local web designer to do the job accurately as required because it has a business name to protect and a good reputation to foster. It’s more than likely that the local company is well updated with technology to enhance a quality website design in addition to its present local situational awareness. This easily places the local designers in a greater advantage compared to its counterparts elsewhere. Plus, coordinating with your local designer face to face promotes a better and stronger business relationship. Hiring a local web designer to build your quality website design resolves, without difficulty, the problems related to time zone differences, which is very common when outsourcing jobs. Since both parties are situated in the same region or locality, belonging to the same time zone, transactions are carried immediately at any moment’s notice. With your local design consultant multiple services are bundled into one saving you money and time. For example, both quality website design and website development – programming and coding, are part of the whole package of service. All of your inquiries about the development process of your website are handled efficiently and targeted deadlines are safely met. Due to the differences in cultural background and language when you outsource the building of your website, a personalized service that you might be expecting is almost impossible to get. The risk of confusion and misunderstanding is quiet high resulting to clients becoming increasingly frustrated. When you intend to build a website with a good quality website design and aim to target your local market, a foreign web designer stands no chance against a local website designer in terms of specific local taste and trends. Hence, it is always best to hire a local designer since he has full awareness and knowledge of the local people and their common preference. Sometimes your website requires a prolonged support from your website designer. 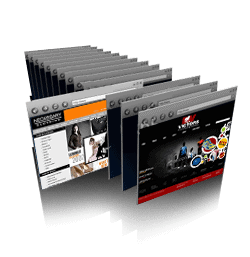 And, a repeated and continuous service is necessary to operate your website optimally. In this case, it is beneficial to use a local web designer company because its physical availability will give assurance and comfort to your business. 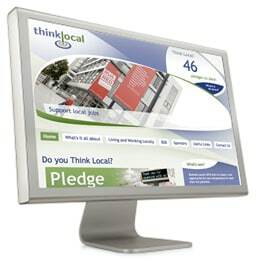 When you hire a local web designer your business connections in the locality will expand because your business interaction within your area will give you more access to other existing businesses in the region. More connections means growth of your business as more resources become available to you.